Every industry has its giants and photography is no different. Greg Gorman has created portraits that have captured our heroes at their most vulnerable, beautiful and triumphant. We’re both proud and excited to be have Greg in Toronto for an exclusive workshop and lecture in just two weeks (!). It was a distinct honour for both Holly and I to get some words and stories from Mr. Gorman. We figured Greg (an inspiration unto himself) had a lifetime of stories to tell about inspirational people. IT’S DOUBLE THE INSPIRATION, PEOPLE. 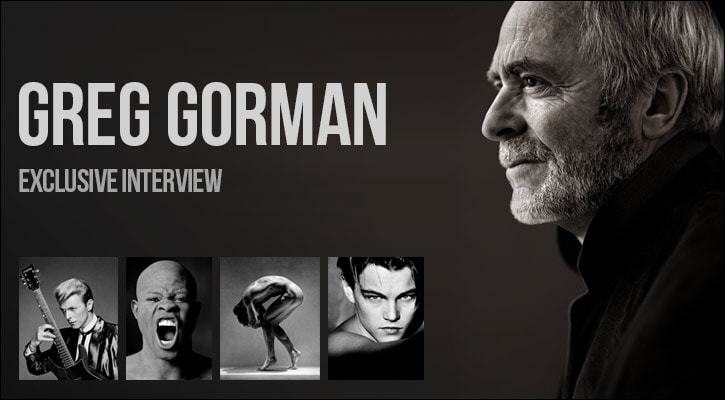 So, without further delay, we present to you, our exclusive interview with Mr. Greg Gorman. In our first part, Greg has given us stories about some of his most memorable shoots. Always a great subject! Michael would call and we would discuss our shoots just as though it was an art director calling to discuss what it was we were going to be doing. It made for very organized sessions with everything in order and so to speak accounted for prior to the actual shoot. He was thorough and meticulous! 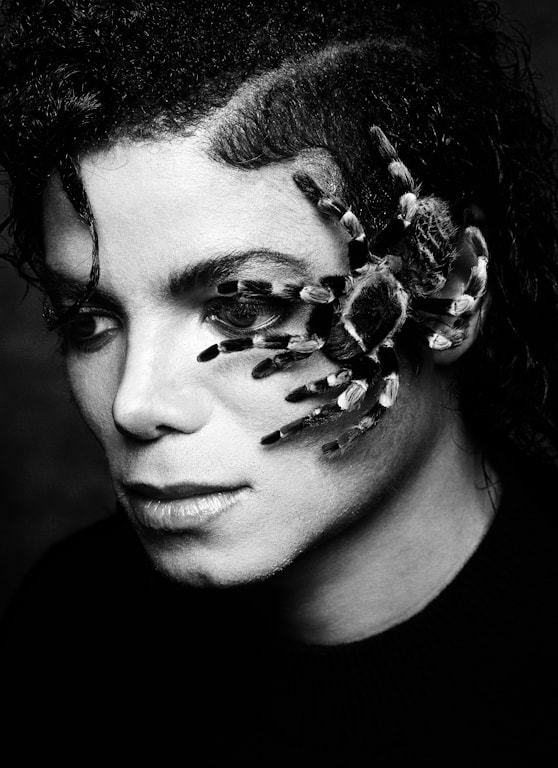 Case in fact, when we shot the images with the Tarantula on his head, he told me when we spoke that his pet tarantulas had just shed their skin and that the skins looked exactly like the spiders themselves. It was my idea to gaffers tape it to his head! Very little challenges with Michael because we both knew what we were going to be doing when he got to my home. Gear would have been a Hasselblad 553 I suppose with a 180 lens, I am guessing! When asked to shoot David Bowie the very first time, which was around Scary Monsters in the late seventies, I was nervous but very excited because I had been such a fan not to mention the level of respect I held for him. 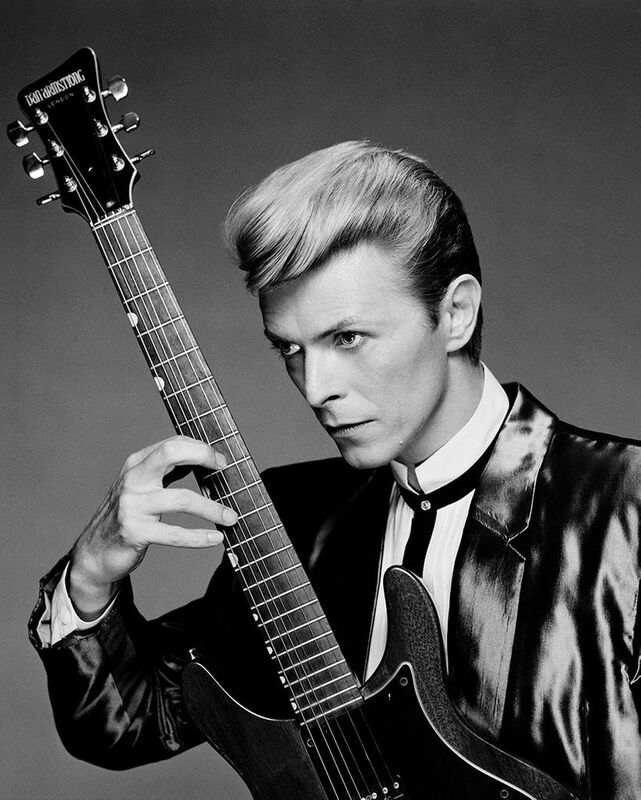 He lived up to everything and we enjoyed a very long creative working relationship that spanned quite a few years and included LP and single covers for Changes Two/Bowie Rare/Let’s Dance/Blue Jean and Never let me Down among many others. We worked in New York, Los Angeles, Northern, California and London as well. Always the consumate pro, I remember always loving his crazy sense of humour! The challenges were trying to keep topping myself with new and fresh ideas that pushed the level of portraiture with in the actual frame and concepts! I shot David with both 35mm Canons and my Hasselblads as well. unusual face. I was never quite sure what he was thinking which certainly kept me on my toes. I always plan out my shoots pretty carefully so I know where I will be going from one minute to the next but in this case, I found a need to be more spontaneous to capture his albeit quirky essence. This shoot taught me the need to be able to change gears in mid stride! An important quality for a portrait photographer. Again gear wise, I worked with both small and medium format cameras. 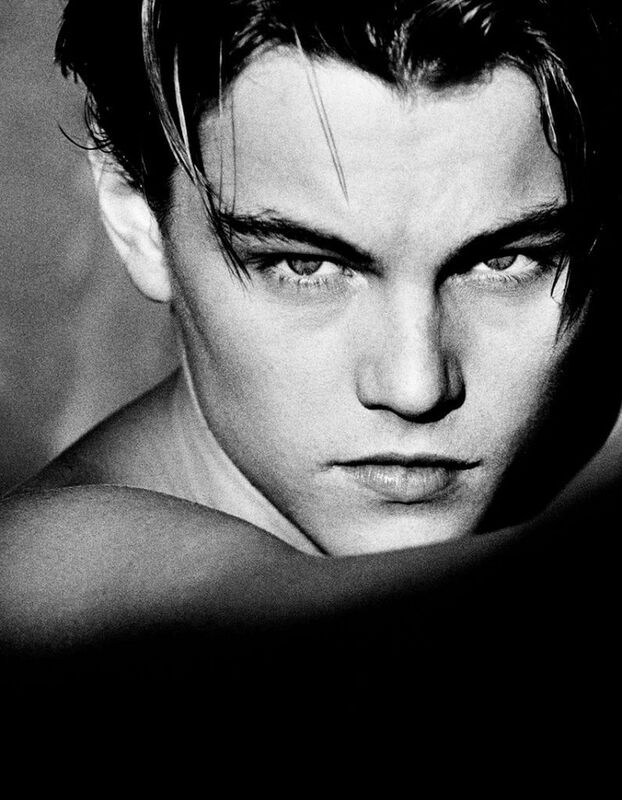 I worked with Leo from pretty much the beginning of his acting career and we had a very close association and understanding of each other which allowed both of us to get very close in terms of a working relationship. Of all the actors I have photographed over the years, Leo is certainly one of the most giving and generous talents in terms of delivering the goods in front of the lens. This always made for fun shoots-knowing fully well that the results would always be more than what was ever expected of us! Again the challenge was to have an even better time each time we shot because it was always a great experience! Cameras again were both small and medium format. To try and elaborate on gear here would be rather mundane and foolish. I used cameras to take the pictures-obviously. The gear is irrelevant and that needs to be said. It is the chemistry and your eye that makes all the difference–not what lens or camera you are using. They are simply insignificant tools and a means for communicating your ideas! 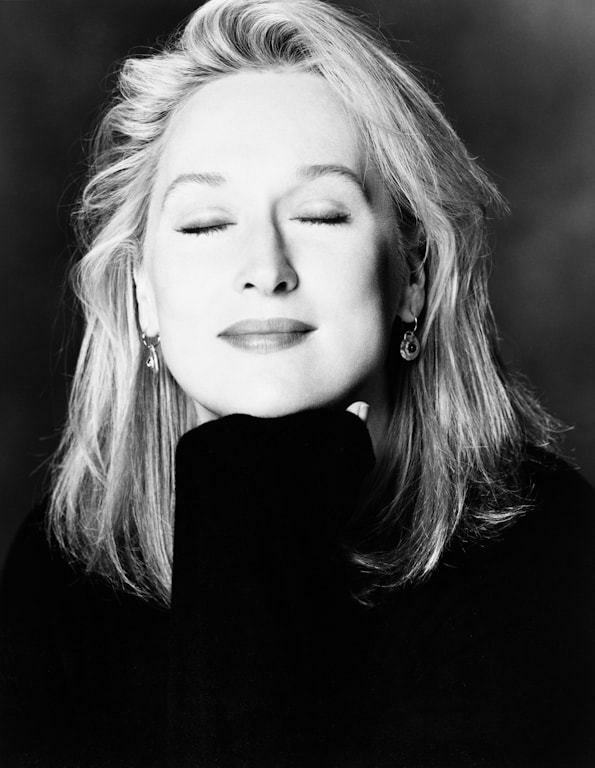 I worked with Meryl several times and found her to be more relaxed and chilled for such an amazing talent than you would expect. Very down to earth and extremely focused with a witty sense of humor helped me formulate my thoughts in terms of how I wanted to capture her. We shot very classic photos in often kind of regimented poses(probably my fault) but also some fun and loose ones like I have also published. The challenge here was to keep her stoic appeal as one of America’s leading ladies, while still revealing her warm and candid personality! I had always wanted to photograph Heath Ledger and finally the day came when I was asked by Disney Studios to go to Venice, Italy and make the images for the film, Casanova. I was warned that it might be tricky and he wasn’t always keen to shoot pictures-therefore a bit of a challenge to make this work. I have always loved challenges and took this one on- full swing. After waiting around several days with no concrete results(meaning I had shot most of the actors but not Heath), I went into auto pilot to figure out a tactic. I had heard that Heath liked wine(almost as much as I do) and spoke with the studio to see if we had a budget to buy some extraordinary wine, which of course we did! That was the lure and Heath showed up on set and shot with me until the last drop of wine was consumed which was needless to say, a considerable amount. He left at that point but delivered more than what we needed to make a good one sheet! Well all the stories can’t be as fun as what you’ve read (hopefully) or Hollywood would seem totally unrealistic, which often it is and certainly in these times! I had set up a day light shoot with “Miss Ross” as she requested to be called (already creating an unnecessary distance between subject and photographer). For those of you, not in the know, a daylight shoot as this one was, on location, depends heavily on natural light at specific times during the day. Needless to say, she arrived and was camera ready long after that light was gone and that created a need to totally rethink and relight the entire sets which had been constructed for the shoot. All done in the ninth hour! The shoot went fine and she was professional to work with but not the optimum situation for an ideal shoot! For our second part, Greg has answered some in depth questions about his career, perspective and some of his favourite gear. How do you feel you have evolved both personally and as a photographer since you were that wide-eyed 18 year old shooting a Jimi Hendrix show? For starters 46 years have passed since those days and I would have to say there has been a lot of growth in many many ways. Certainly I am still a very passionate and active person. My interests, ideas, lifestyle, likes and dislikes have all changed or morphed in many ways. Keeping to photography, my love of people is what still drives me in terms of image capture – I’ve never been particularly good at shooting anything that couldn’t talk back to me. In terms of my career and commercial work, I have pretty much lost interest in all the movie work, where I really made my name. The style, tempo, design and look is not what I made my name and created my images doing. There is a new breed and it is a different breed and that’s probably a good thing but very different than what I spent the better part of my life developing. Thus I’ve chosen to pursue my passion in other arenas of photography and the arts. Namely teaching, lecturing and working on my personal projects,which include books and exhibitions, which often center around a lot of traveling which I enjoy. I have also chosen to focus my passion on my love of wine and therefore I spend a good deal of time pursuing the art of wine making both in the Napa Valley and the Central Coast of California. You’ve mentioned using a Honeywell Pentax 35mm camera with an 85mm lens for that shoot. With the massive changes to modern photographic equipment, is there anything about your old gear that you miss? As I spent time developing my style both in terms of my visual imagery but also in terms of the initial captures, I also made obvious choices which became inherent in my style and look that you see in my pictures. That is the use of long lenses, larger format cameras and studio gear and so forth until the onset of digital, which made it possible to garner the quality of a medium format camera with the spontaneity of a 35mm capture once again as well as less lighting gear do to how well digital sees light in low luminance! In the interim I primarily worked with Hasselblads. I certainly didn’t miss the screw in lens of the day for the Pentax. Quite a while ago. That really says something! You’ve done shoots with famous people and non celebs alike. Which do you prefer? Do you find one or the other limiting to your creativity? People are people and whether they are driven by celebrity or life itself, I have always been interested in photographing people who are open and honest and trusting and who know who they are. Ones that do not have to hide behind the facade of a character or alter ego other than themselves. And finally – What’s your gear of choice right now? Special thanks to Greg for his time. 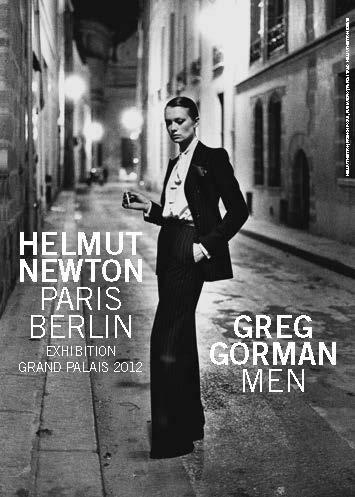 We’d like to also mention an incredible double exhibition Greg will be part of along with Helmut Newton.On 31 October 2013 the double exhibition Helmut Newton: Paris-Berlin. Exhibition Grand Palais 2012 // Greg Gorman: Men will be opened at the Berlin-based Helmut Newton Foundation.This retrospective exhibition, curated by June Newton and Jérôme Neutres, had been shown at the Grand Palais in Paris in 2012; it was the first comprehensive presentation of Newton’s work since his death in the French capital city where he lived and worked since 1961 for two decades. 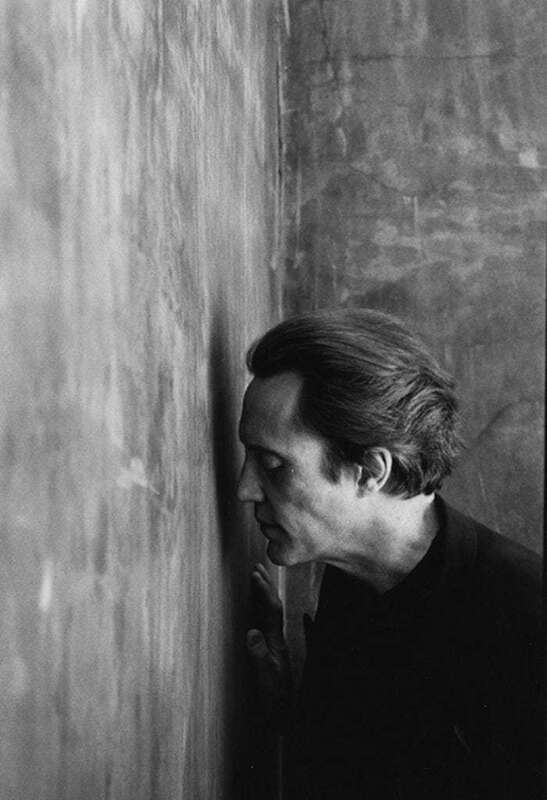 The show includes more than 200 photographs in black & white and color from all major work series and returns now to its source for a show in Berlin, and the path it has taken is reflected in its title. Well, that was a monster of a post, huh? We were very fortunate to have had such outstanding stories and anecdotes from Greg. And yet, this is just a fraction of the wealth of knowledge and experience Greg has to share. Want to hear more stories like this and techniques from Greg himself? Sign up for Greg’s Workshop and lecture, starting November 13th. You may never have another chance like this again.